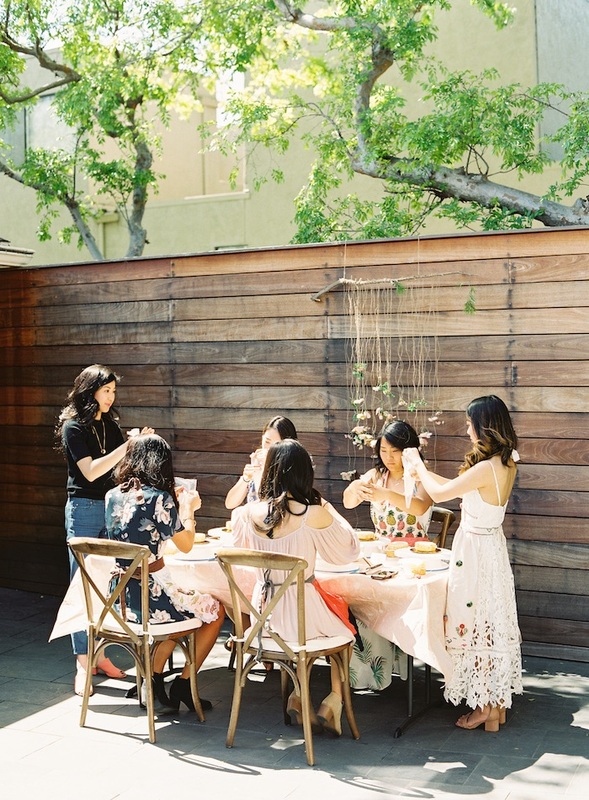 Ready to bask in bohemian delight? 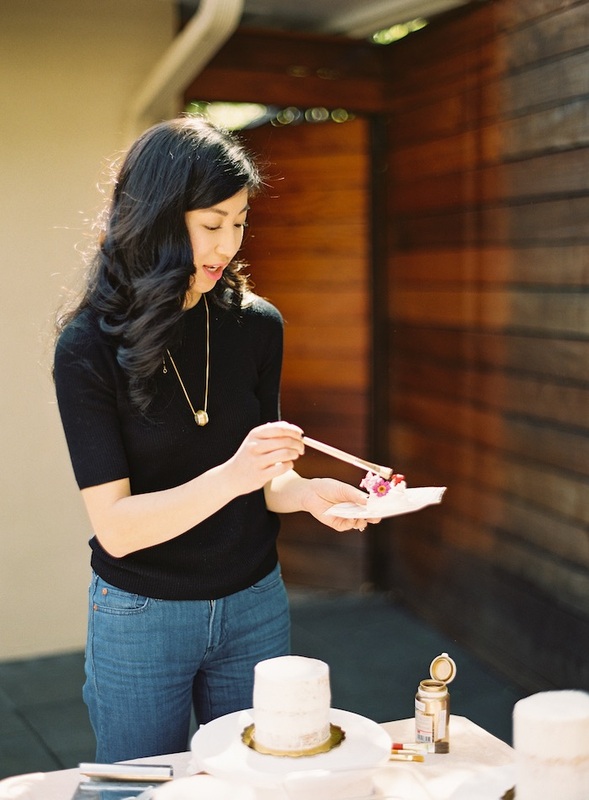 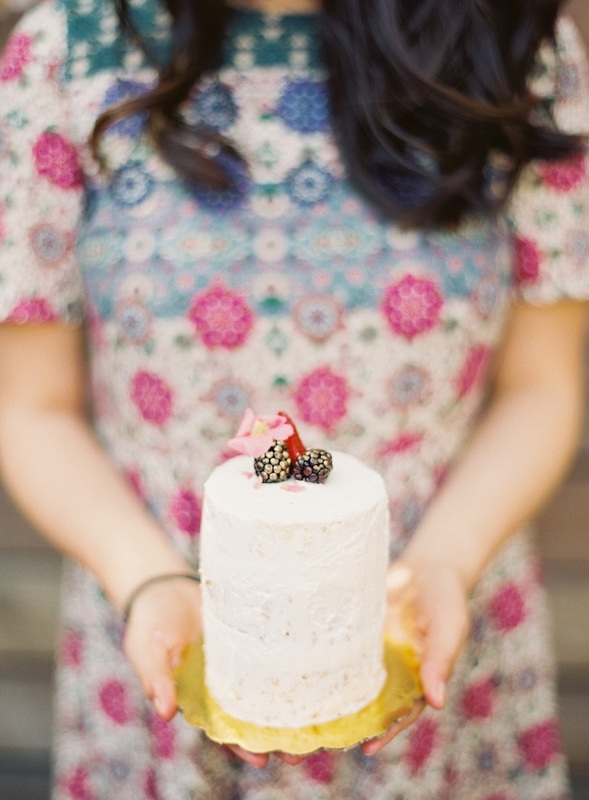 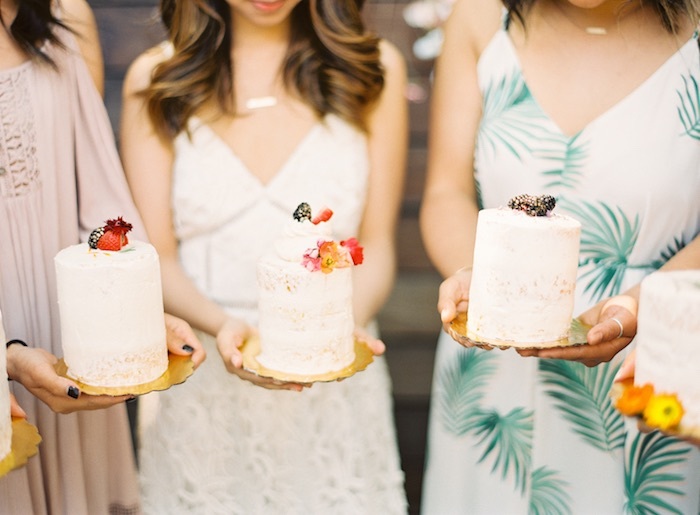 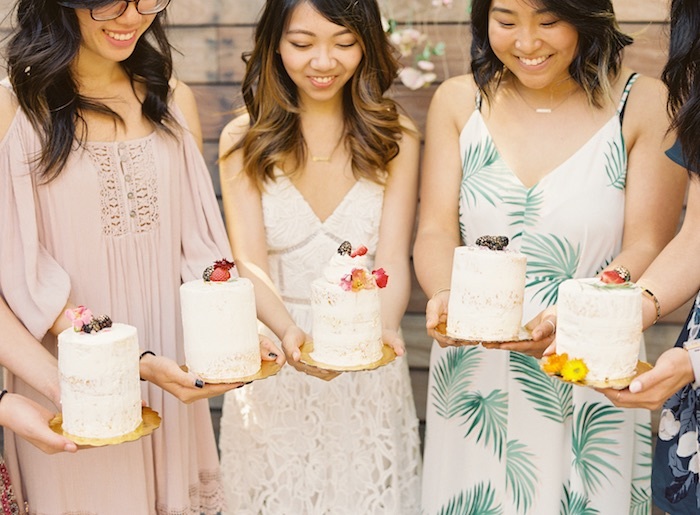 Check out this Boho Cake Workshop Bridal Shower by Natalie Choi of Natalie Choi Events, out of San Mateo, CA, USA; it’s out of sight! 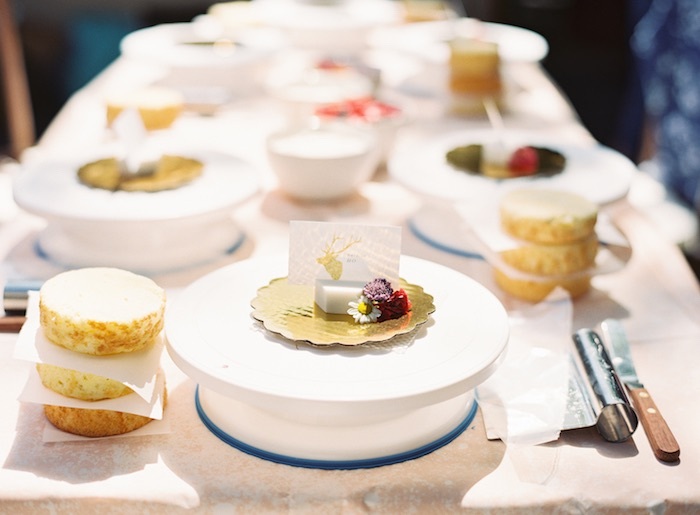 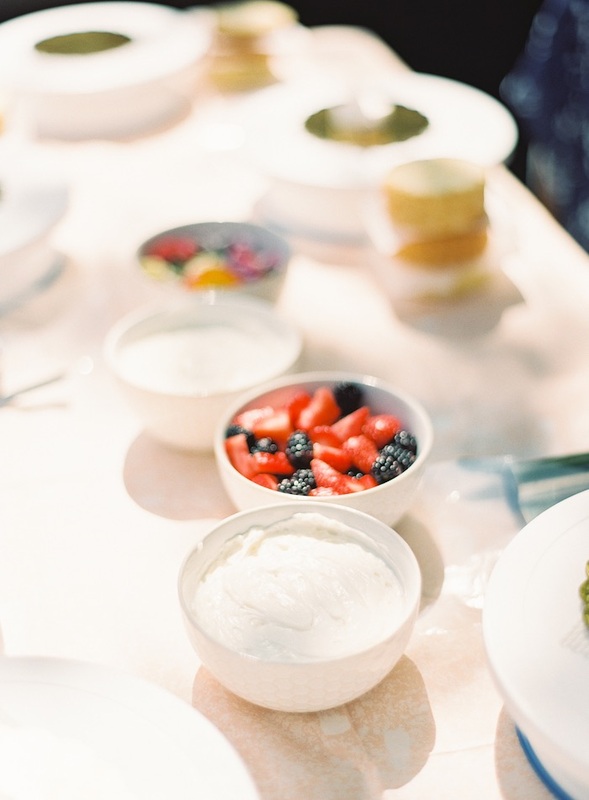 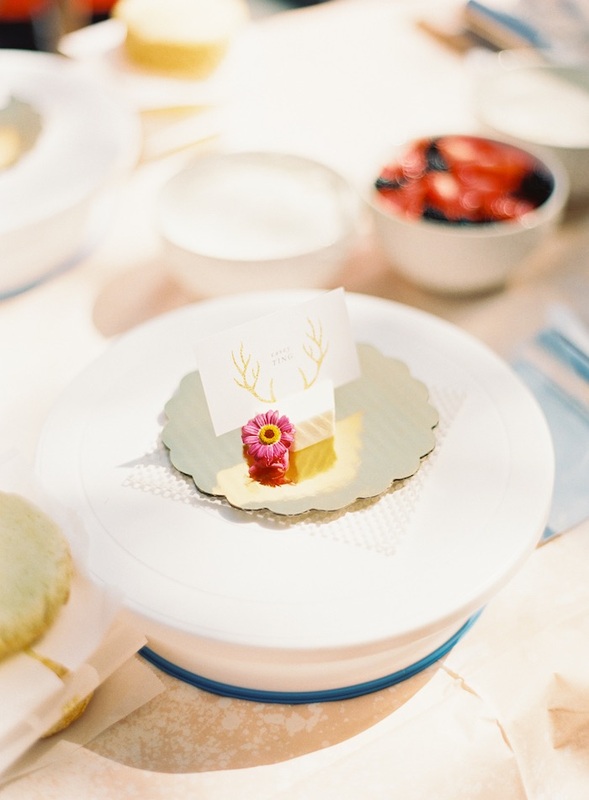 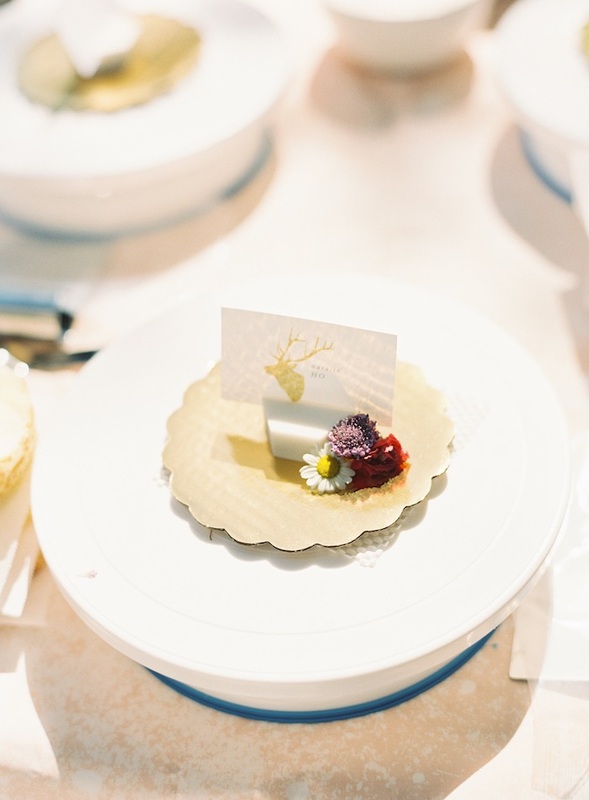 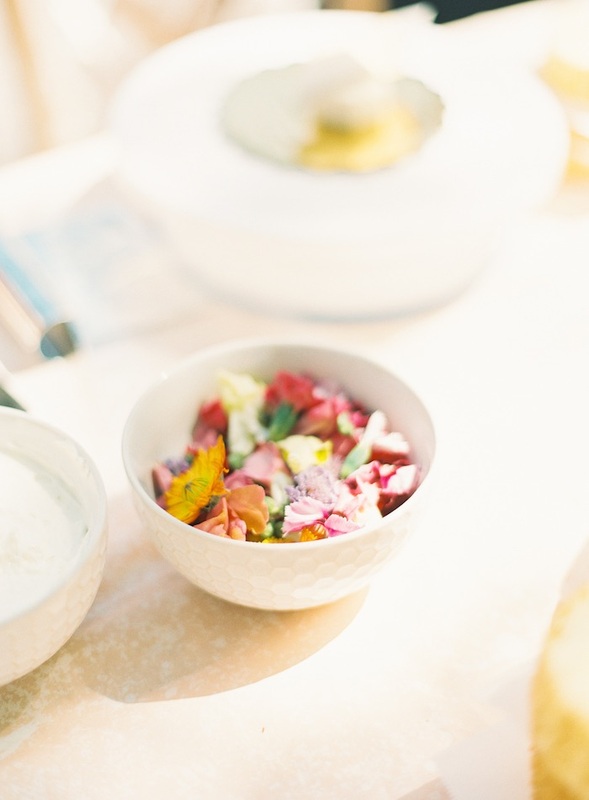 Iced with cakes and boho flair, this beautiful event will have you up in the air! 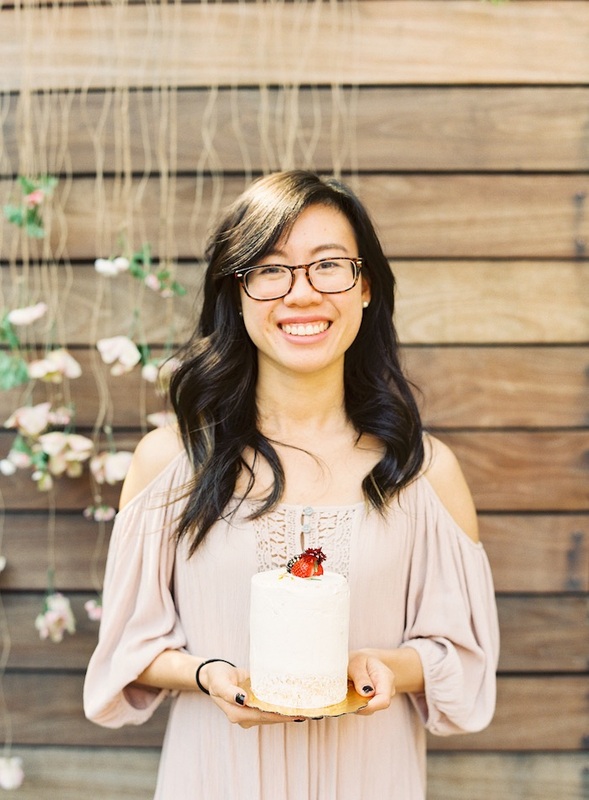 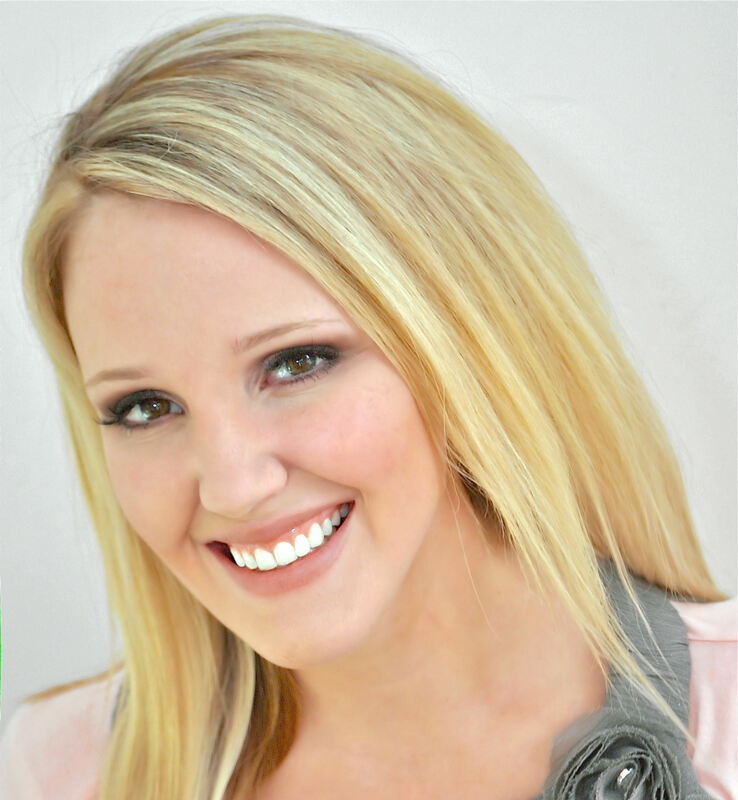 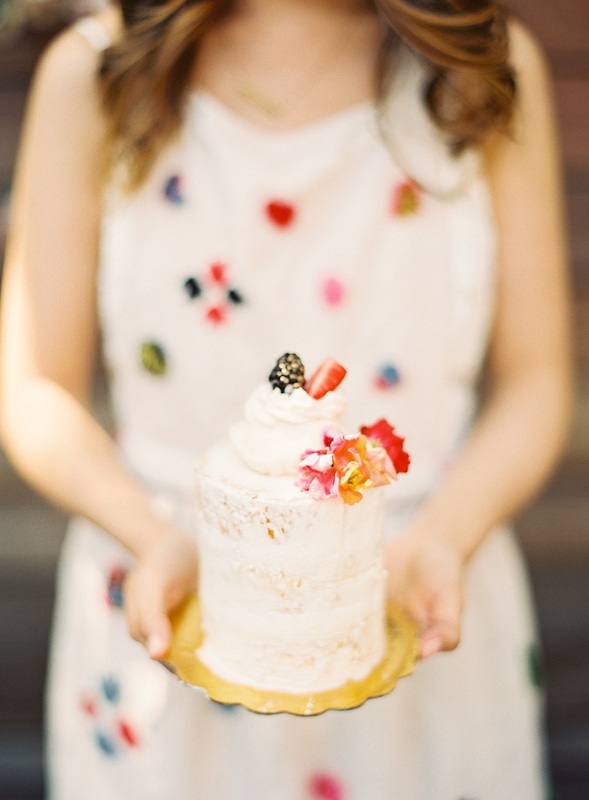 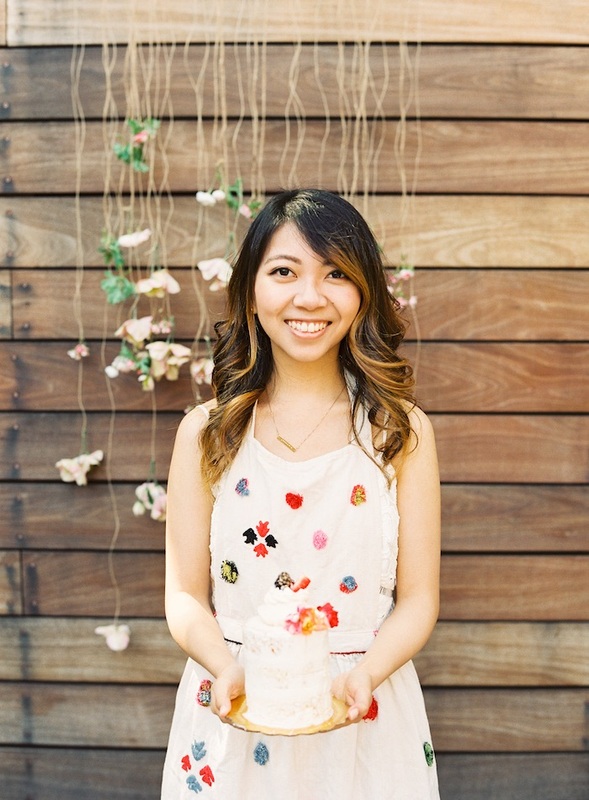 This is what Natalie shared about the party- “When I met Amanda from Just Bakecause at the cake tasting for my wedding, she suggested hosting a private cake decorating workshop for my bridal shower. 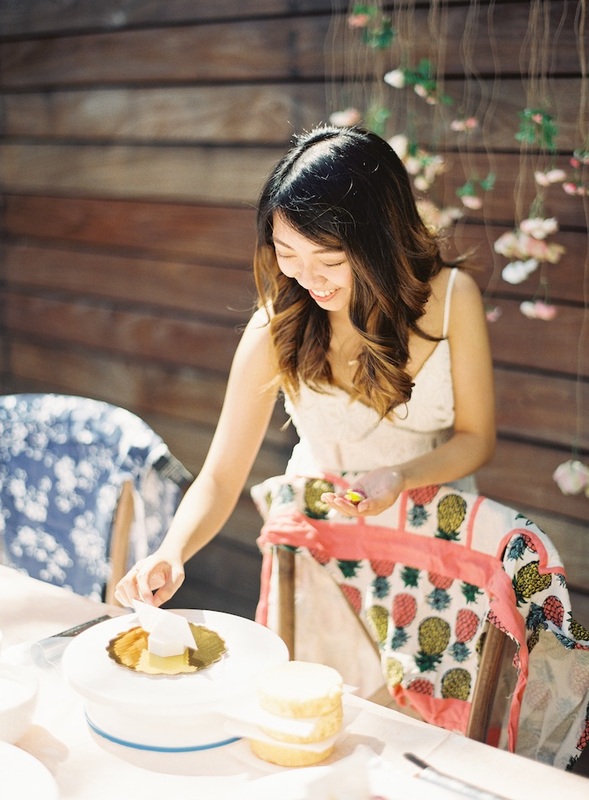 I immediately LOVED the idea (especially after tasting how yummy her cakes are! 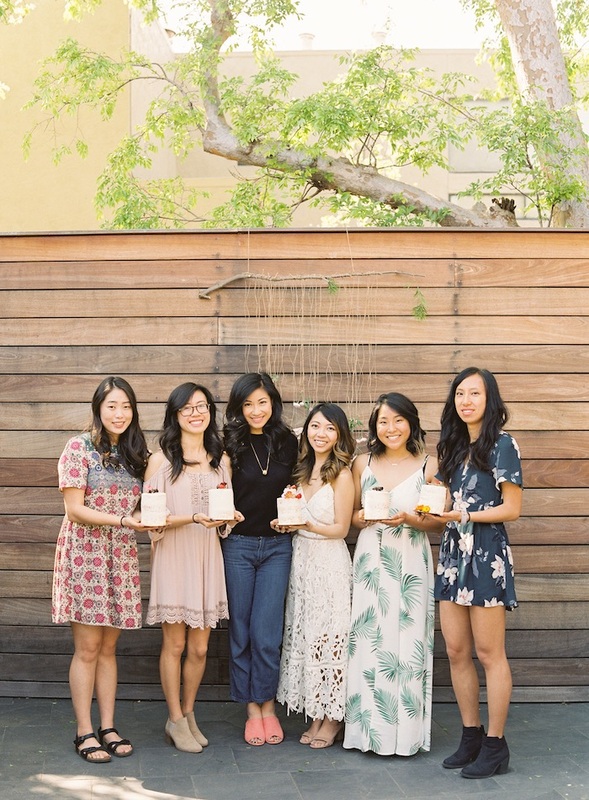 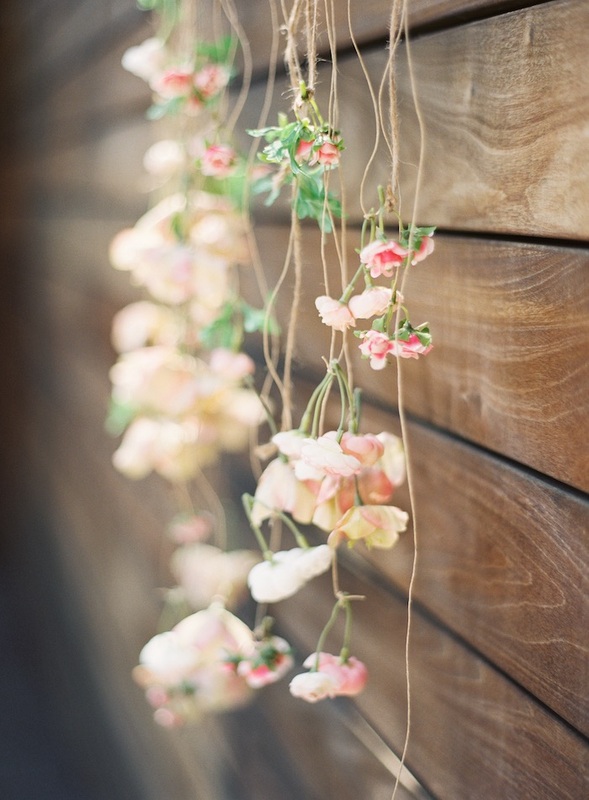 ), and shared the idea with my bridesmaids who all loved the idea too! 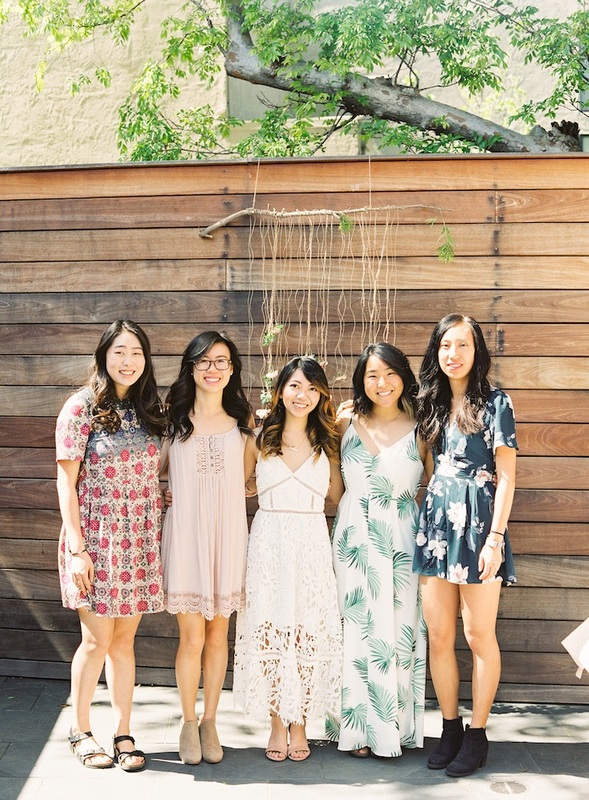 As a wedding planner, I wanted to be involved in the planning process and together with my girls, we decided on a boho themed bridal shower. 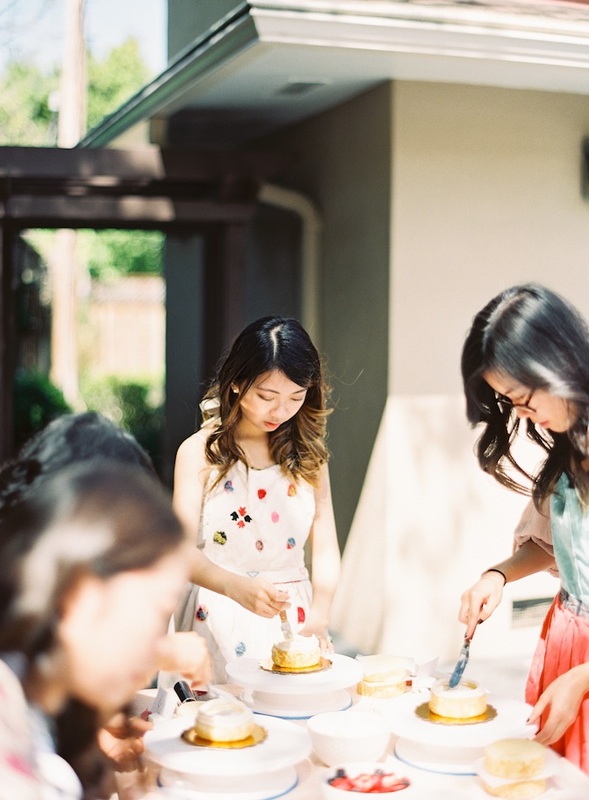 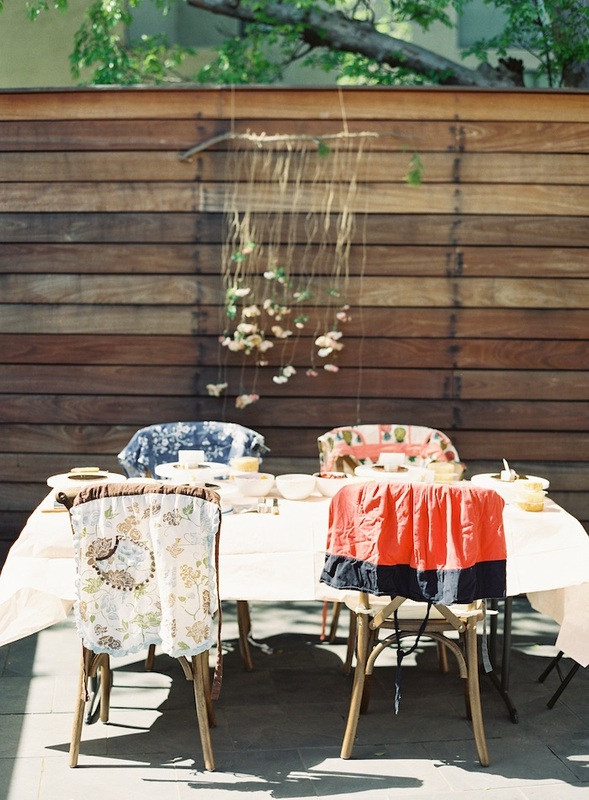 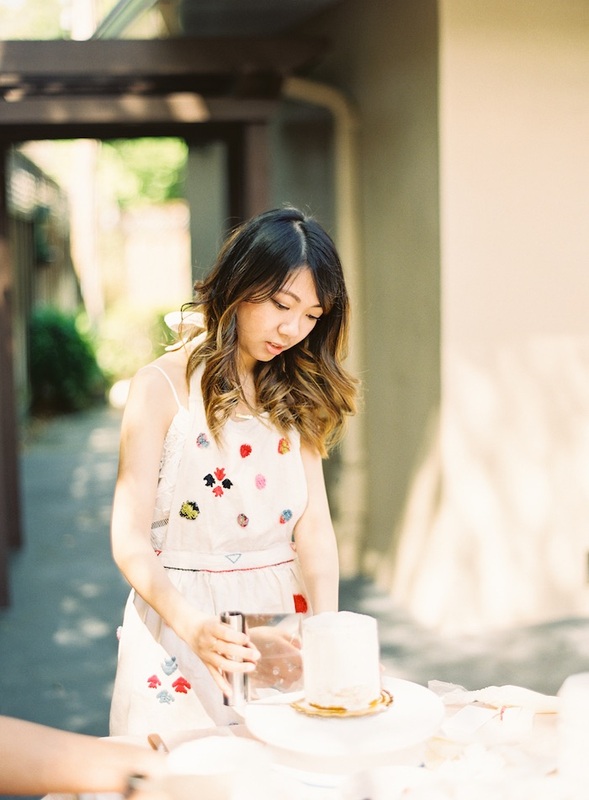 We gathered on the patio at my house, decorating our own mini cakes in cute, colorful aprons. 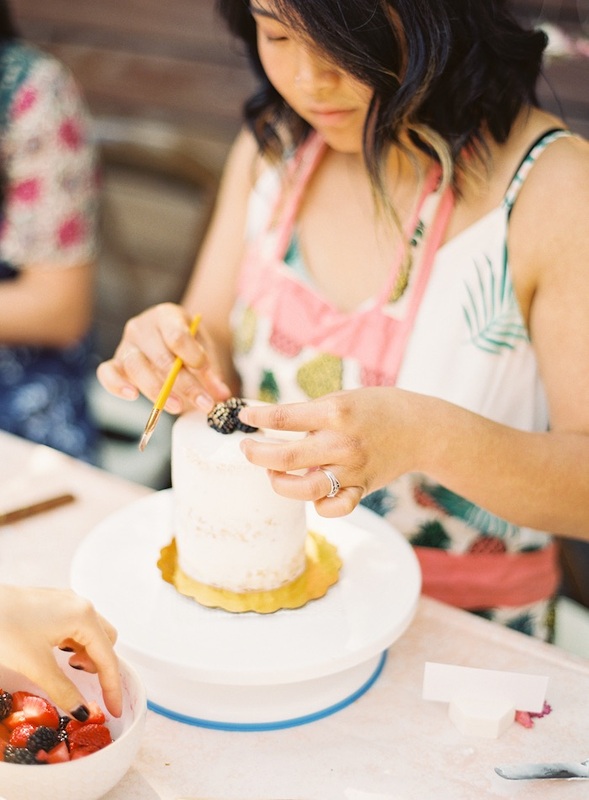 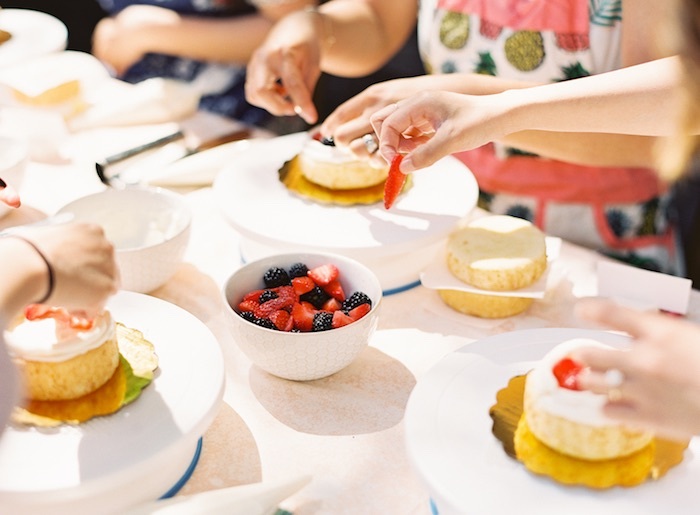 An hour passed quickly as we learned how to frost and fill our cakes, topping them with fresh fruit and edible flowers. 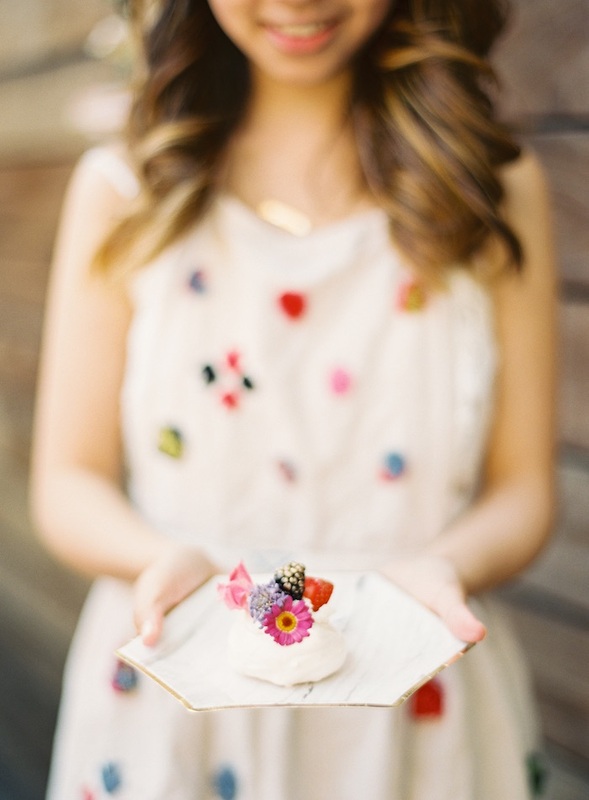 Amanda also knew my favorite desserts are pavlovas, so she brought along a few of her beautiful treats for me”! 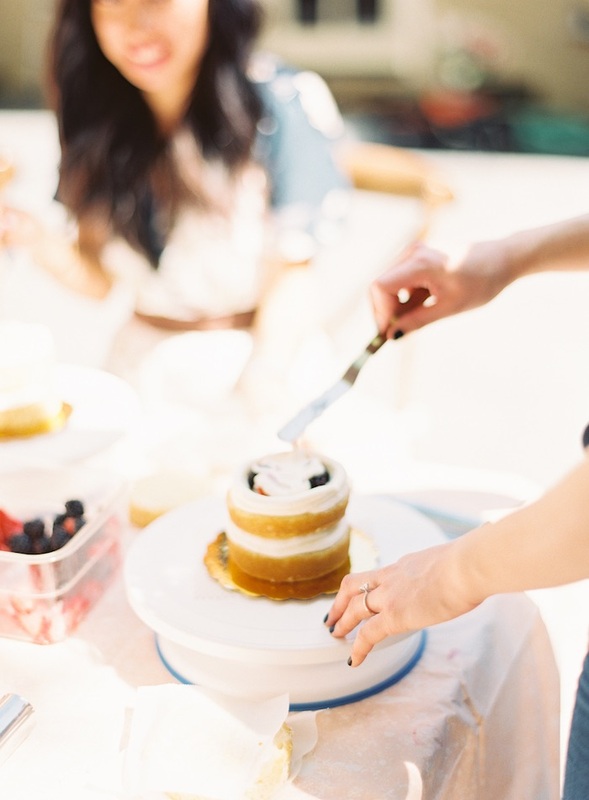 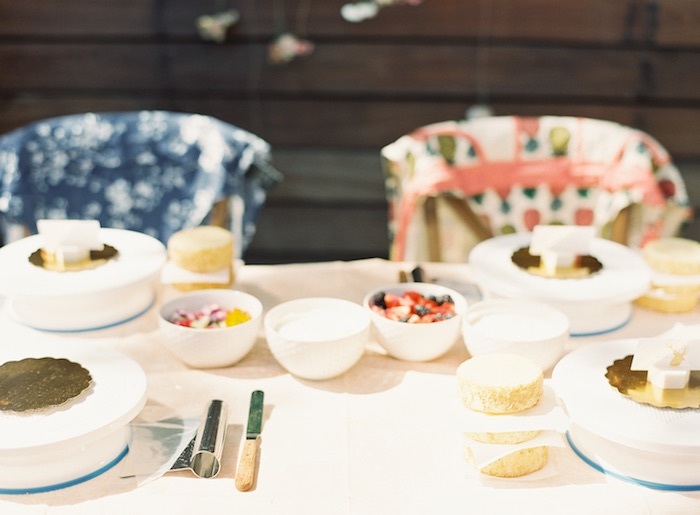 More inspiration in this Shabby Chic Baking Themed Birthday Party and this Baking Party!